Dried Red Lentil Beans - 20 lb. Why aren't my red lentil beans actually red? 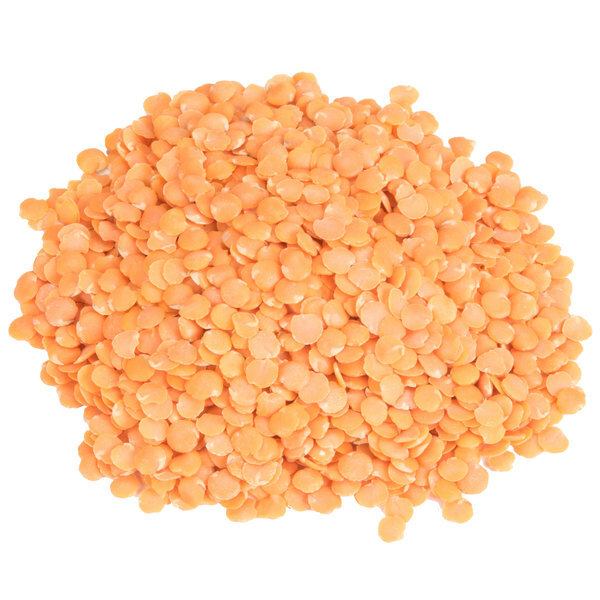 Despite their name, red lentil beans actually have a gold or orange color to them. No matter the color difference, the flavor and taste is the same. Both hearty and nutritional, this bulk supply of dried red lentil beans will allow you to create satisfying, signature meals that your customers are sure to love! Not only are they perfect for enhancing buffets and restaurant menus, they're easy to prepare and add to any dish. With a sweet, nutty flavor, they can be used as a protein substitute for meat to accommodate vegetarian guests. They have shorter cooking time than yellow, green, brown, and black lentils, and tend to quickly become soft, making them an ideal thickening agent for soups and stews. 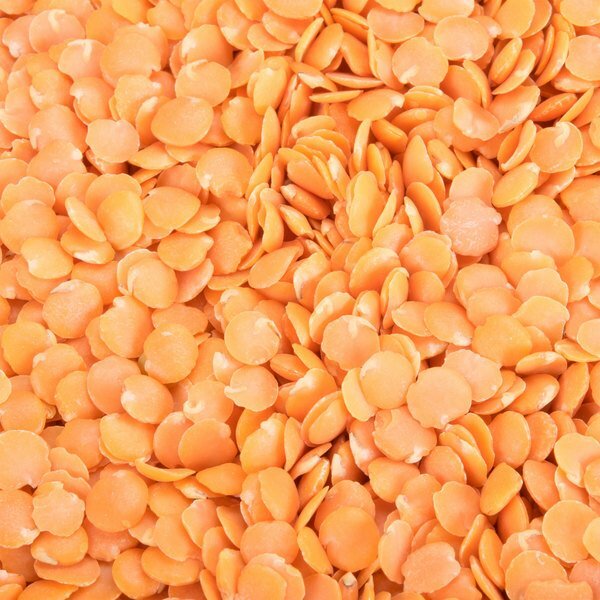 Rich in fiber and vitamin B, these lentil beans are a great, low-calorie, low-fat option for health-conscious consumers. They're cholesterol free and boxed with no additives or preservatives, ensuring a fresh flavor and homegrown taste. Plus, they're cost-effective and easy to store. Like all dried beans, these lentil beans require a soaking process before cooking and serving. They may take longer to cook than canned beans, but dried beans have many advantages. Though canned beans may seem either too firm or too mushy, your staff can control the firmness of the beans as they cook them. Use this box of red lentil beans to expand your menu selection and create healthier dish options! Overall User Rating: Dried Red Lentil Beans - 20 lb. My family and I recently had red lentils for the first time and ...WOW! Not only are they quick to prepare, they are super healthy! These red lentils are amazing, very fresh taste and nutrition can't be beat. We often mix them with other colors to make our own blend. The rich blend of flavors is amazing! And the pretty color is appetizing - especially good to stimulate the appetite of our elderly residents at Angel House Assisted Living in Florida. Thanks to Web Restaurant Store, they are quickly delivered too! Glad we found these in bulk. Great flavor, awesome value when making Red Lentil Soup from scratch. Great way to make money. High quality and clean. These come in a box, no liner. The lentils just spill out everywhere when you move it around. Other wise pretty good quality lentils, not much in the way of bugs or pebbles. I had trouble finding red lentil beans bulk. So I was happy to find these. They are awesome in taste and a great touch to our lentil soup.